May can be a frustrating month, set in a lovely time of year. 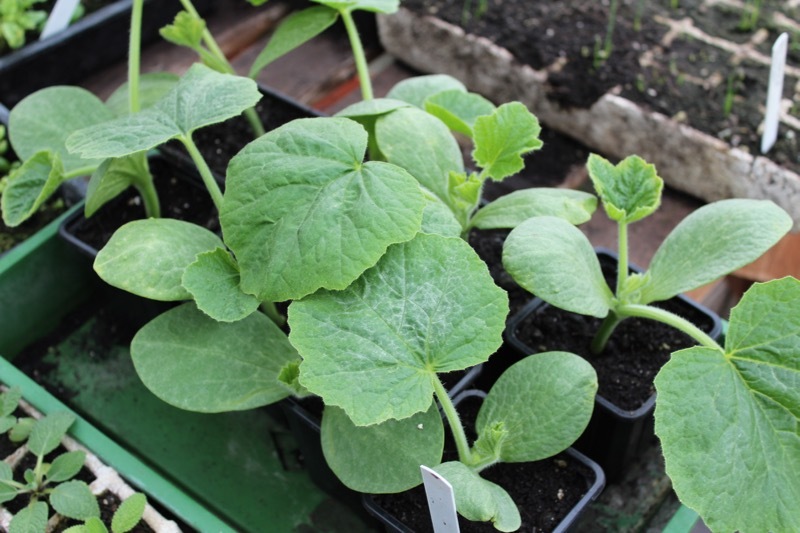 Spells of cold nights and blustery winds are not good for the tender plants we now want to plant outside. 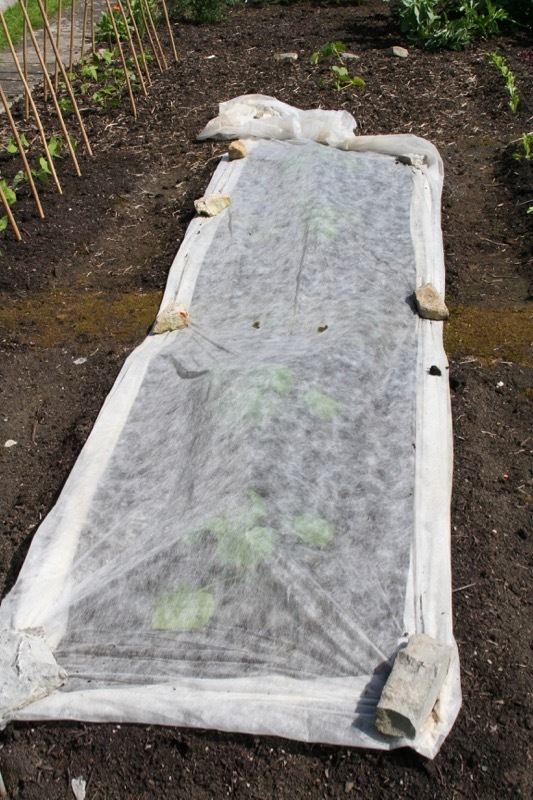 Last May was warm but this year is not and fleece covers are useful to lay over celeriac, climbing and French beans, tomatoes and cucurbits after planting outdoors, against cold wind especially. 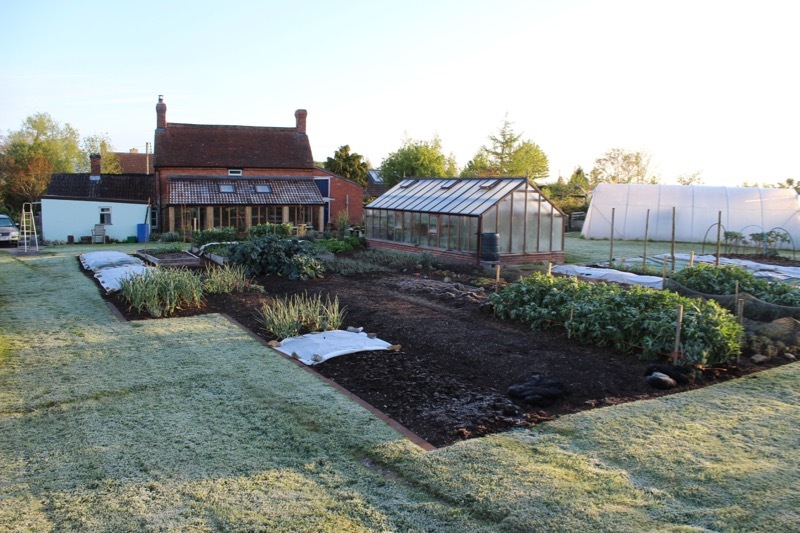 We may not be clear of ground frost until early next week around 18th. 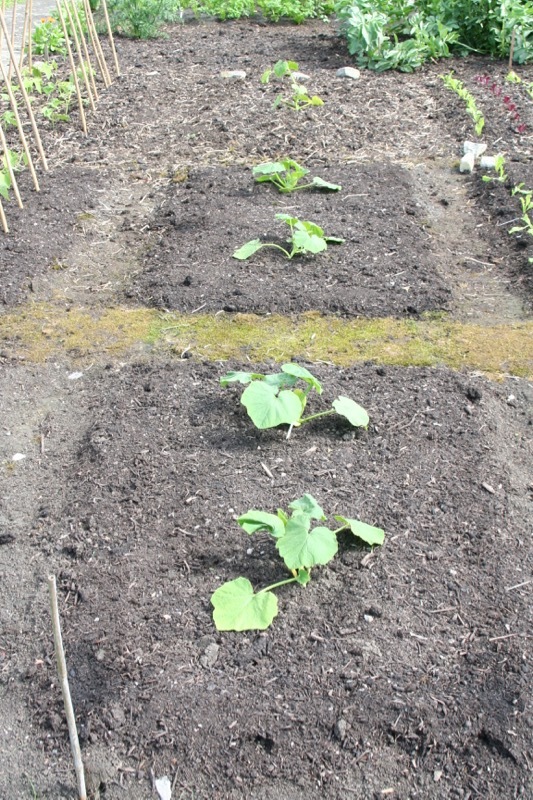 Squash and courgettes can go out now, and a fleece cover for two weeks, or longer if the weather stays cool as in 2012, will really help them establish. 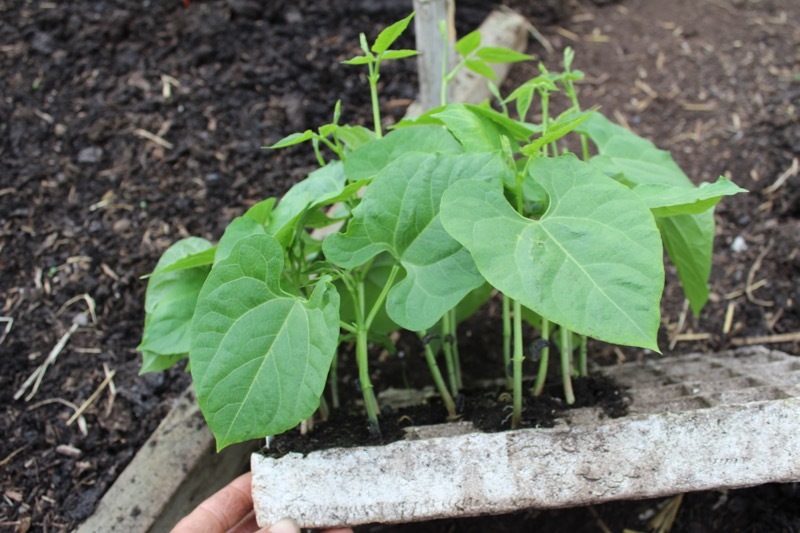 Climbing beans like it even warmer and I reckon to plant at month’s end, then outdoor cucumbers in early June. 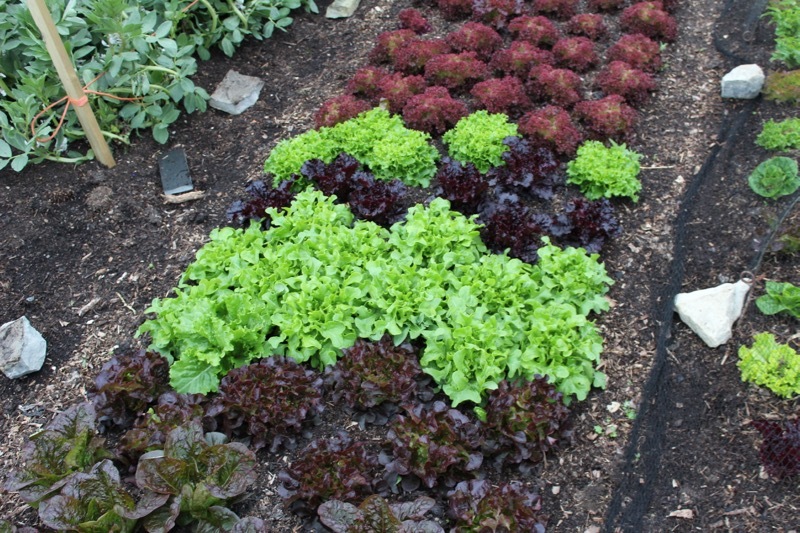 Celery and celeriac are good to plant now. 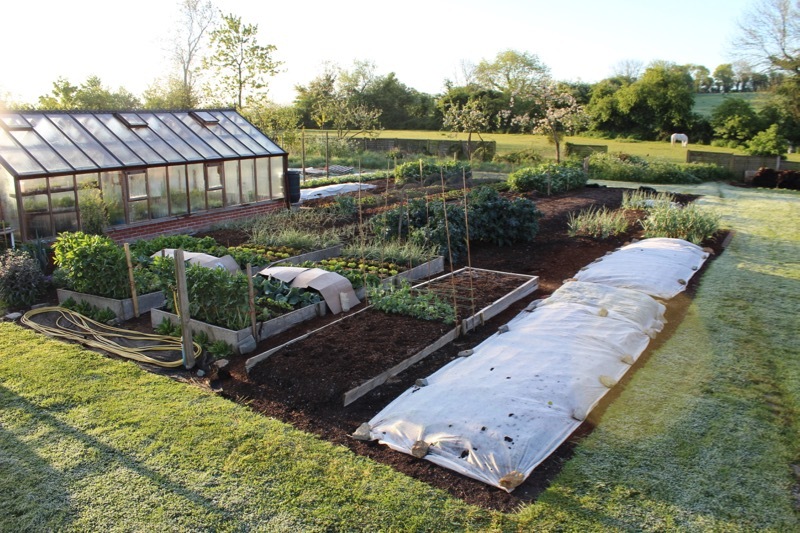 Compost ingredients are now plentiful, and in contrast to winter months there is more green than brown, so any bits of twig, paper and chopped brassica stems are welcome additions. 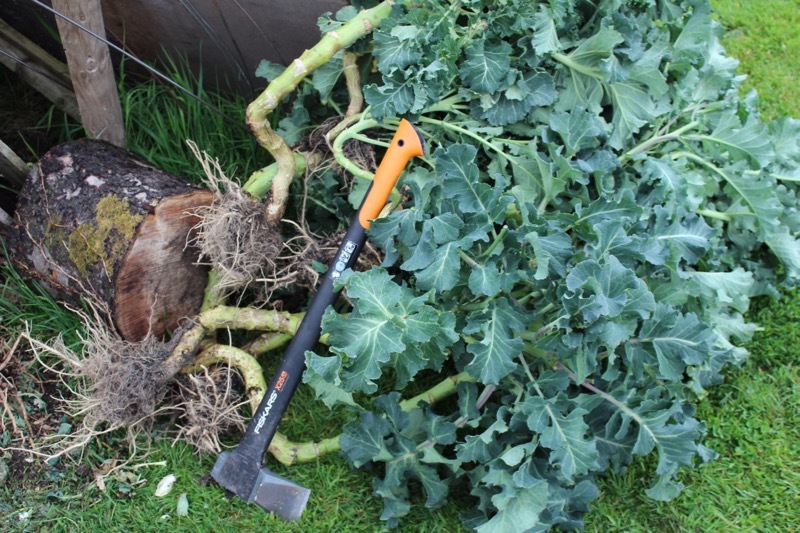 For example I use an axe to chop the thick stems of purple sprouting broccoli, into 4 inch (10cm) pieces. 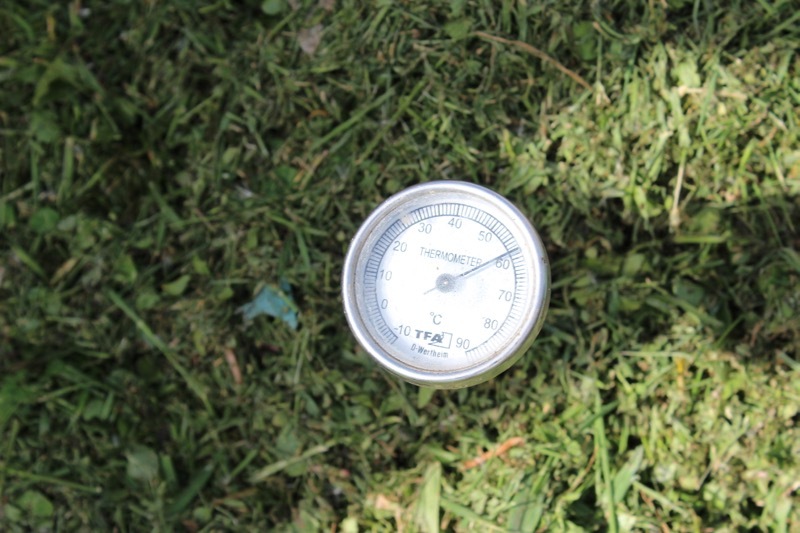 Adding some brown to the green helps keep air in the heap and prevents it getting too hot. I understand that above 60-65C, some fungi and beneficial organisms are killed, and my winter compost bears this out, made without going above 40C and mostly cooler, yet it is turning into crumbly, worm-rich humus. 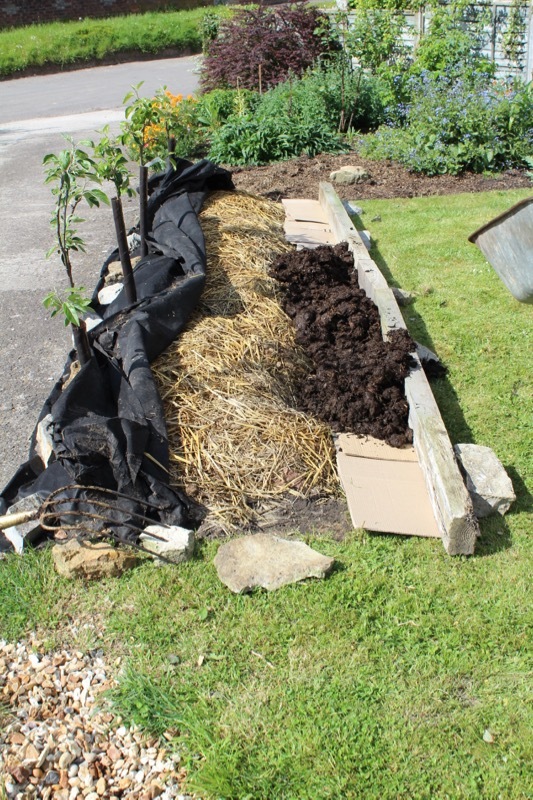 I was sent a sack of multipurpose (non-organic) compost to trial by William Sinclair, based on woody fibres called ‘Sylvagrow’, and it has been awful. They are currently analysing it after I returned some, because plants just sit in it and turn paler. 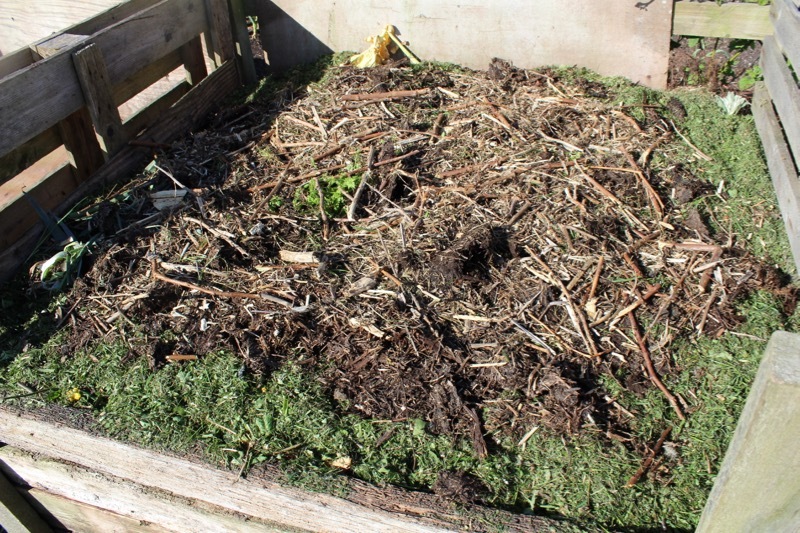 So I value the West Riding compost even more – its based on peat sieved from reservoirs. 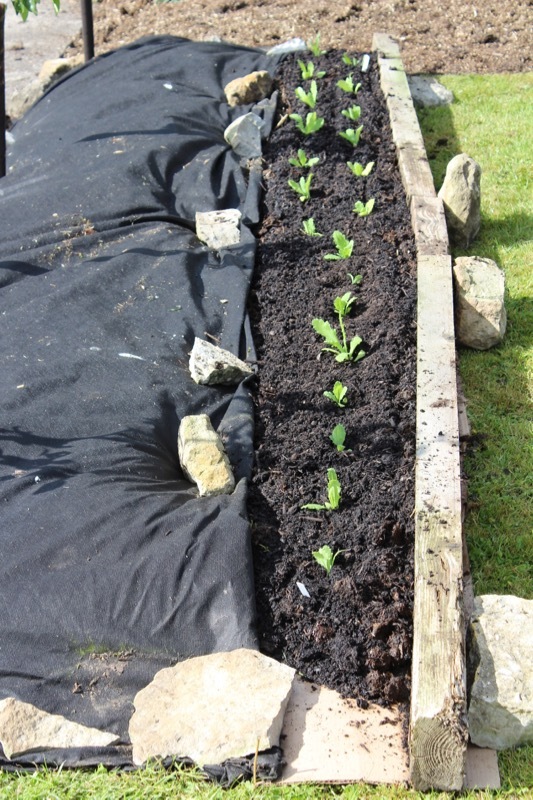 See the photo of French beans, vigorous and green in just a small amount of West Riding. Melcourt is the only consistently good compost I hear of that is based on wood but strangely they use Sylvagrow too. 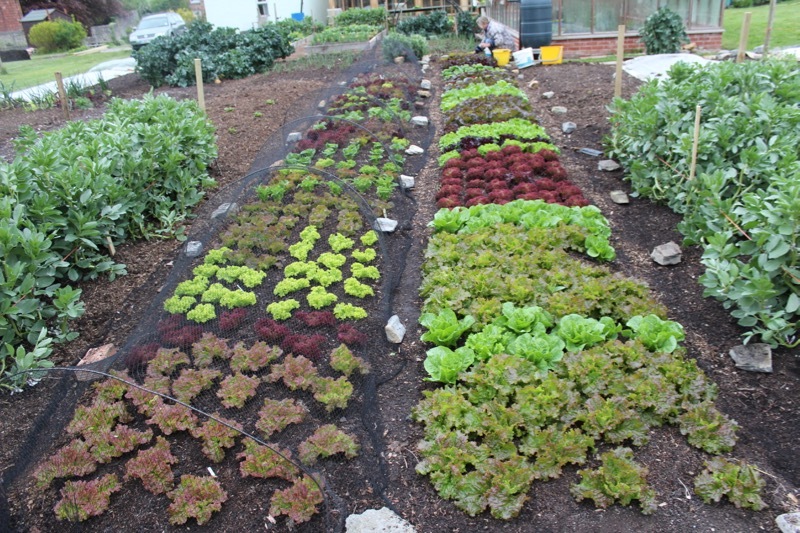 Please post on the forum if you have any experiences of good and bad composts! 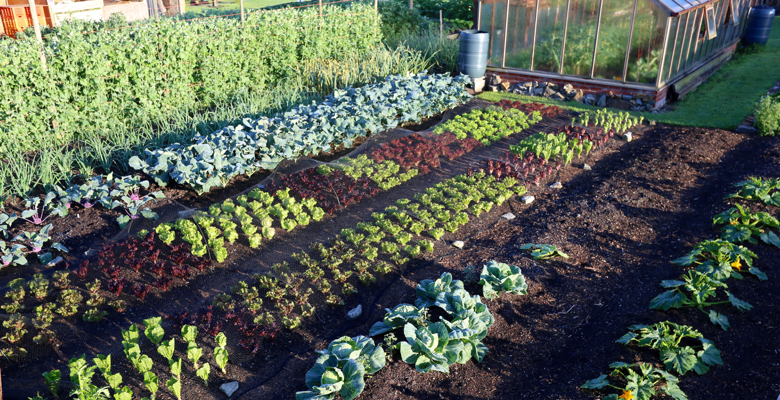 Its still possible to make new beds on weedy ground, if you have a decent quantity of organic matter, with the best quality compost on top. 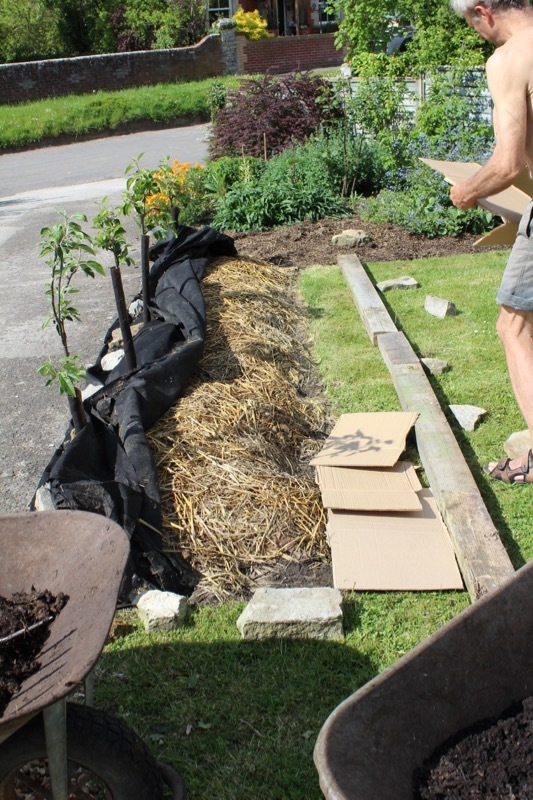 Steph helped widen a bed in the front garden where there is mostly lawn grass and no couch, so easier to mulch. We planted it straightaway with poppies for seed, using my own seed from last year, then I wondered if they might have cross pollinated with other ornamental poppies… we shall find out! 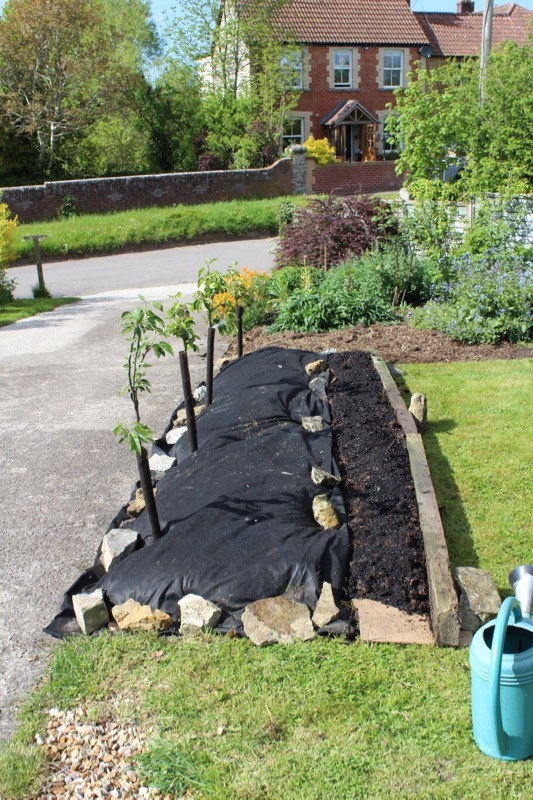 Then landscape fabric relaid and a layer of maniple compost on top of the cow manure compost…. 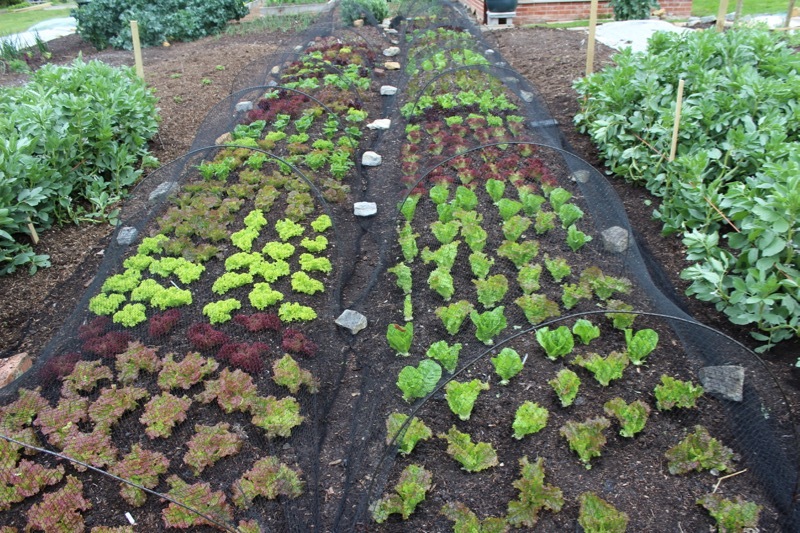 New salad plants are in full flow here, a mix of lettuce, spinach, sorrel, wild rocket, coriander, dill, pea shoots and orach for colour. 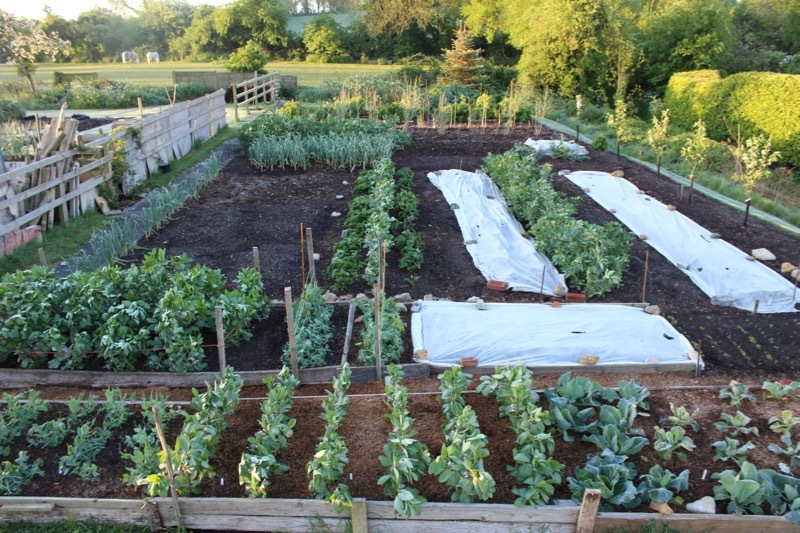 The pea plants should crop for another six weeks and lettuce for even longer, so I make my next sowing in early June, for cropping from the middle of July as the first batch are rising to flower. 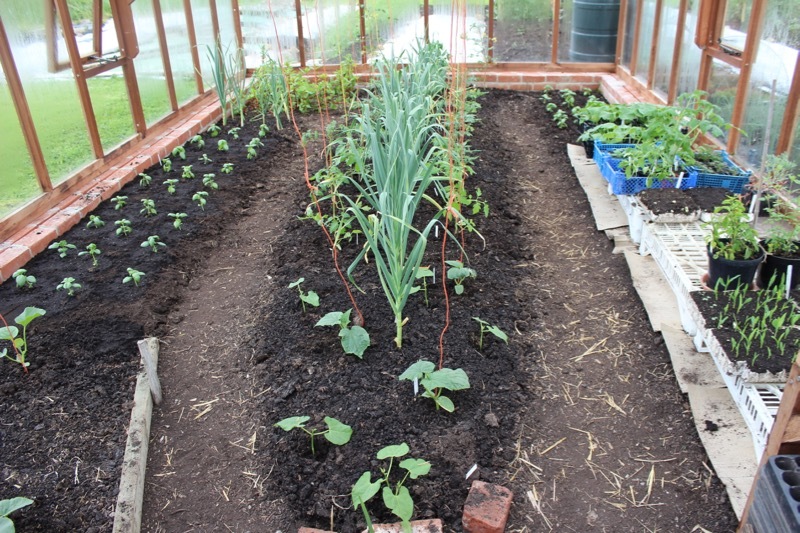 I do not sow any rocket of either type, mizuna, mustard etc in the spring because of flea beetle damage to their young leaves, and their short season of producing. 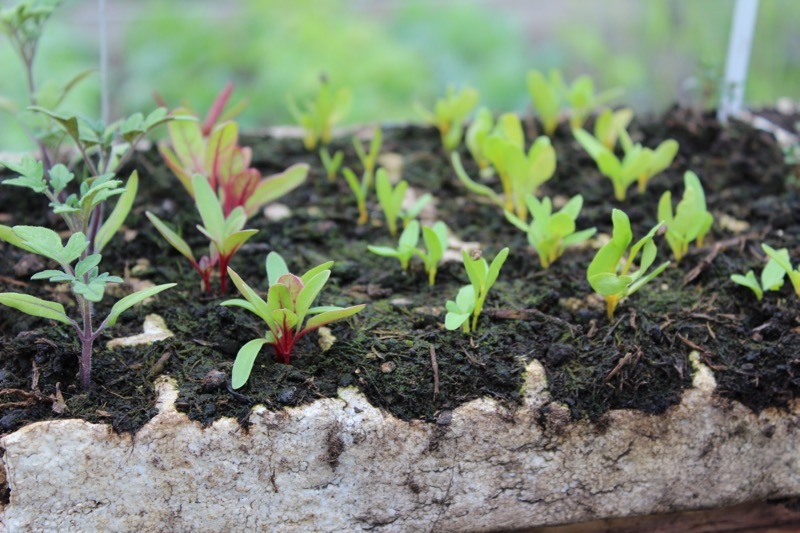 But overwintered wild rocket sown last July is highly productive and is reasonably pest free under mesh, and just a few plants give salads a nice peppery flavour. 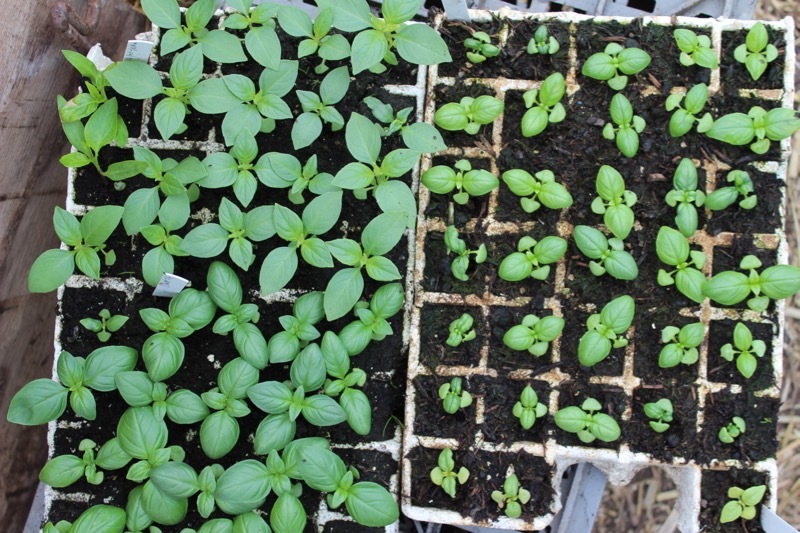 In the greenhouse I have a lot of sweet basil plants, to plant out undercover, for extra flavour in the summer salad bowl.